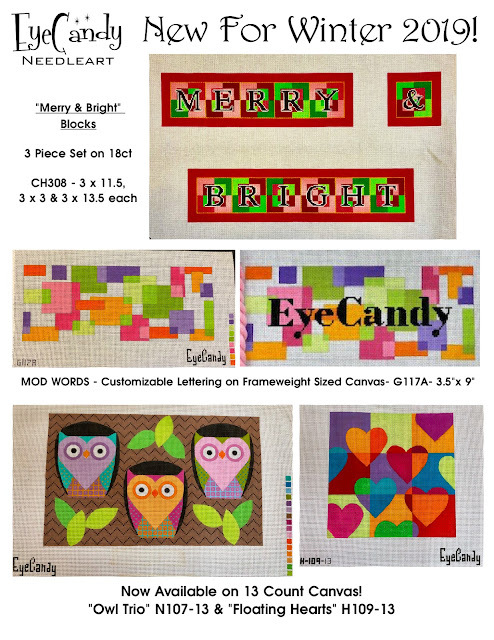 EyeCandy Needleart: New for Winter 2019! The Winter TNNA market is this weekend in Portland, OR, so have a few new designs to showcase for the show! Thank You Kreinik For The Perfect Color!! Trunk Show This Month At Needlepoint Junction!